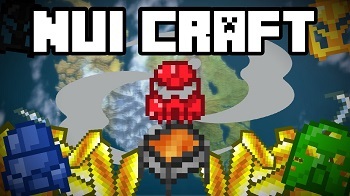 NuiCraft Mod is created by TheEastoniumGuy that is to implement various aspects of the Bionicle Universe into Minecraft. There are MANY things planned for this mod, such as various machines, items, weapons, and mobs in a general sense. 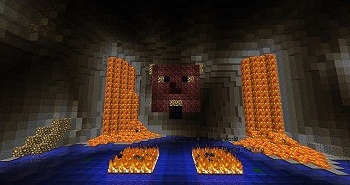 Underworld Mod is created by eAndPi that makes use of the Nether's terrain to create a massive cave-world that has overtaken the "Overworld". Naught but stone, ice cold water, and Monsters en-masse hunting you down in this forever dark place. Can you survive and thrive in this place where the sun has never shone? SinglePlayer: Just select "Underworld" in the available maps, just like you would select a flat map. Multiplayer: In the server.properties file, change the line: level-type=DEFAULT to level-type=CAVES, and be sure to delete the level.dat & overworld region files. The Brazier is a decorative light-source, but requires flint-and-steel to be smacked on it to light up. The Lantern is a dynamic light-source to help you as you venture around in the eternal night of Underworld. Hang Vines spawn in the ceiling of this massive cave-system, and are Ore-Dictionaried to vanilla string. Underworld is extremely young, so there will be bugs and issues. Please help by finding them all! Added MineTweaker Support for the Metamorphic Table. Read here to learn how to add and remove recipes. Changed how the Sugar Pile's interact with hostile entities. Removed the "Fireflies push hostiles away" ability. Made Fireflies "daze" hostiles instead. Hostile entities will now freeze in place and watch the Fireflies. Squids are now being force-spawned manually. Disabling force-spawn for Roots entities. More than doubled amount of mobs allowed to co-exist in a 64x128x64 area (7-16). Updated JEI support to 3.14.7.416. Trimmed the chance for Moss-Stone to spawn, from 5% to 4%. Underworld uses several tricks to keep it's worldgen as light-weight as possible, sometimes even managing to complete worldgen 25% faster than vanilla! 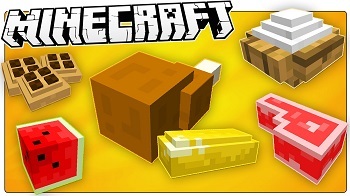 Food Pack Mod is created by plant_12345 that is all about the stuff I wanted most in Vanilla Minecraft. I see that you've come here because you want to know more about the mod. So i will tell you something. If you like food and other stuff, you will like this mod too! So I made it! It has over 230 new Items, Blocks, Achievements and more! And lots of more Good Stuff! 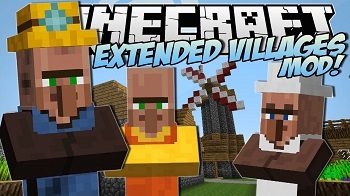 Extended Illagers Mod is created by Soulas125 that will change it by adding 5 new types of each mob, every mob has unique fighting abillities stats and may have unique drops within some updates as well! Stonevoker - 100hp, summons stone golems to aid him in battle , is first boss mob in this mod! Stone Golem - 50hp, has huge armor and will fight to protect the Stonevoker is immune to fire! Pumpkinvoker - 80hp, spawns minnions to aid him battle, will cause nausea and hunger, also can teleport. Frostoker - has 50 hp , can summon frostmans and snowmans to aid him in battle, they will have 15hp and frostmans can cause 4 dmg per each ice ball they throw, also Frostoker can give slowness and mining fatigue debuffs, currently doesn't spawn. Snowicator - has 24hp, 7dmg and he wields iron axe and a snowball, will freeze water and place snow everywhere when he will attack someone he will start throwing snowballs and also give slowness and mining fatigue effect. Blazinator - has 36 hp , wields two golden axes and each deals 6dmg also is immune to fire and can set opponents on fire, doesn't spawn yet. Blazvoker - has 30 hp , can strike lightning from the sky and spawn burners, these minnions will aid him in battle and they will have 14 hp and deal 5 dmg also they will have abillity to fly and set opponents on fire, he doesn't spawn yet. Endcator - has 36 hp , wields diamond axe and a shield , will sometimes teleport around, doesn't spawn yet. Endvoker(Dragonvoker) - has 50 hp, will summon armies of enderman to attack his target, can teleport around and will make opponents sometimes levitate and cause blindness , so he could escape and doesn't spawn yet. Zero Quest Mod is created by NovaViper that adds more mobs and tameable creatures, items, weapons, blocks, biomes and dimensions! Toggle Dark Load, dark particle spawn and all tame Nile creature automatic emergency regeneration in configurations files! See more info on the Zero Quest Wiki! NOW WORKS ON FORGE SERVERS! (On some versions) Get updates and upcoming features by liking and following our Facebook Page! Zero Quest is now on Tumblr! TETRACRAFT IS FINALLY OUT! SEE HERE MORE INFO! THE MOD HAS BEEN DISCONTINUED!!! LOOK UP FOR MORE INFO HERE! If anyone has any issues, please either PM me or put them on the Github issue tracker. I cannot receive them on the curse pages because they do not notify me about them. Though this mod is under the All Rights Reserved License, I allow people to add this mod into modpacks, do spotlights on it, and use the source code to help modders and developers as long as they give credit to the mod and the me AND you redirect to any of my mod's page links that are listed below. I DO NOT allow the modification of this mod unless you notice something off about the mod and its code. Also, I DO NOT allow the redistribution of my mod's source code. Also, I ABSOLUTELY do not allow the repost and monetisation of my mods.. so if you see websites that are not either the following: Minecraft Forge Fourms/Minecraft Forge, Minecraft CurseForge, Curse, MinecraftFourms, the Zero Quest Wikia, The Zero Quest Facebook Page, The Zero Quest Tumblr Page, Github, you are VERY likely to be a victim of mod fraud and installing an outdated version of the mod AND risk getting a malware from the download by not downloading from the websites listed. If you see websites that violate this, IMMEDIATELY PM me with the link given. 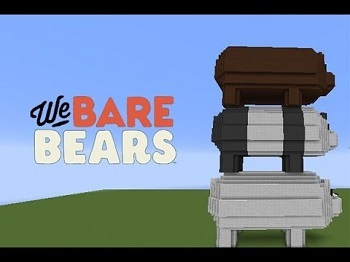 We Bare Bears Mod is created by Soggy_Mustache that will add eventually add in a bunch of things from the television show. This Mod Adds in all the bears, Chloe, NomNom, Charlie, A Bunch of items from the show and more to come. THE MOD IS NOT DONE DON'T ASK FOR ME TO ADD OBVIOUS THINGS UNLESS IMPORTANT! 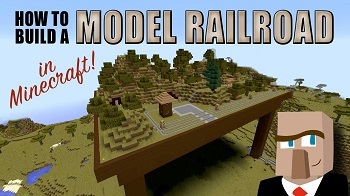 Model Railroads is created by vincentmet that adds several new track pieces, which you can see in the pictures. There are many ways you can support this mod! You may NOT make profits out of the mod in ANY way, including, but not limited to adf.ly and other money making links. You may decompile the mod to look at the source code, but not redistribute and/or copy it. This mod may only be distributed by the the creators. You are welcome to use this mod mod in any modpack, as long as you don't make any money out of it. Darthrafael - Idea-man and initiator of the mod. Also trains, cos' who can have a model railway without trains?! 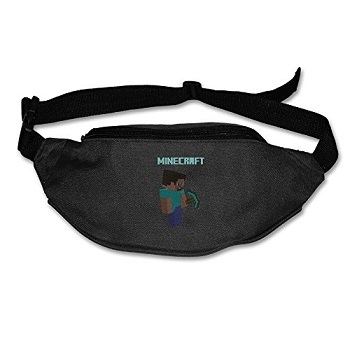 Craft and equip the Fanny Pack to your belt slot, and you can now press the hotkey (backslash by default) to swap your 9 hotbar slots with another hotbar. You can keep your blocks on one, tools on another, and bags of holding on yet a third hotbar! Basically, it's just the Traveller's Belt from Tinkers', but it's for 1.10.2. It switches between 3 hotbars, instead of 2, though, because 2 was never enough for me. I only spent a few hours on this mod, my first Java project in a few years. From my limited testing, it works well enough, but expect bugs. 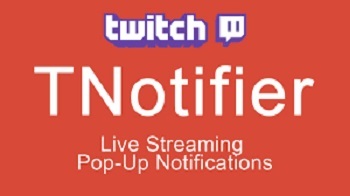 Twitch Notifier Mod is created by fireball1725 that is a Client only mod that adds alerts in game for Twitch and StreamTip Events. Current alerts are New Tip, New Follower, and New Subscriber. This mod is not technically designed for use in mod packs because it should only be loaded if using it, so it should be an optional client side mod. Because of this, I request that you send me a message for using this mod in your pack, please let me know what your pack is and how this mod would fit into your pack. I may change this policy in the future for this mod if I change how it works. Thanks. Download the latest version of Twitch Notifier and drop into mods folder, Start minecraft then quit once it is fully loaded. In your config folder will be a configuration file called twitchnotifier.cfg, open this in your text editor of choice and enter the required information. See Wiki for more info on how to setup the configuration file. 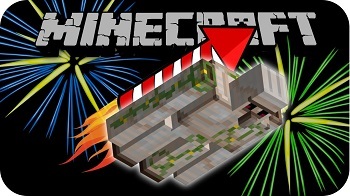 LivingFireworks Mod is created by XFactHD that adds the ability to make any living entity except other players launch into the sky and explode in a glorious fire ball by right clicking them with a firework rocket.